One of the main causes of periodontal disease is bacteria, in the form of plaque, which accumulate around the teeth. The plaque and your body’s defence response can lead to the loss of the supporting bone around the teeth, resulting in ‘pocket’ formation. 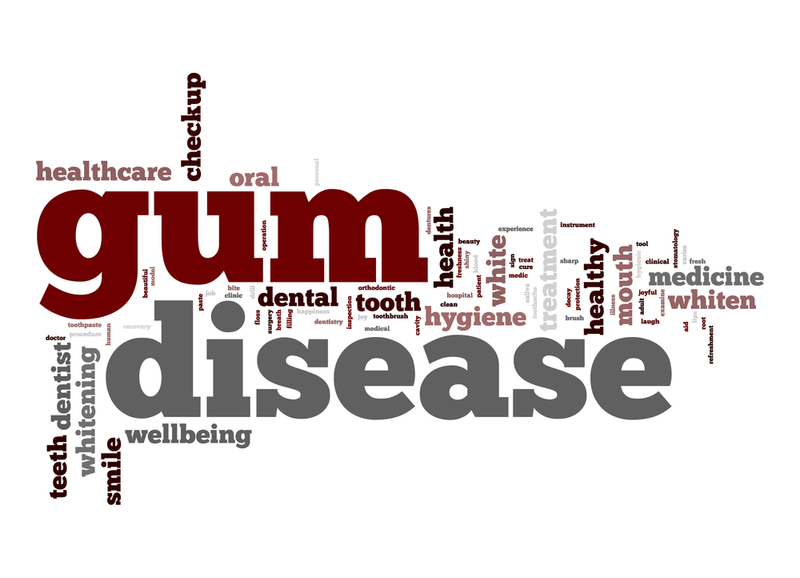 Maintaining good gum health is essential as gum disease can potentially result in tooth loss. The first stage of gum disease is called gingivitis; where gums become red, tender or swollen and often they may bleed on brushing or eating. Another unpleasant side-effect may be bad breath (halitosis). Gingivitis can in some circumstances progress to periodontal disease where the supporting bone around the teeth may resorb and be lost. Teeth with reduced bone support then become at greater risk of having more accelerated bone loss, infections and abscesses, needing root canal treatment or being lost. In recent years there has been much speculation regarding the role and connection of the inflammatory and infective processes related to periodontitis and its effects on general health including diabetes, heart/ cardiovascular disease and adverse pregnancy outcomes. So maintaining a healthy mouth can have far greater benefits on a healthy body than previously thought. At Boston House Dental Clinic we always advise regular check-ups as the majority of gum disease cases are spotted at these routine assessments and can be dealt with effectively before they progress. Initial stages of gum inflammation can be treated by our hygienists who will remove build-up of plaque, particularly in those hard to reach places. For cases which are further progressed we refer to our in house periodontist. This includes the removal of plaque and calculus both above and below the gum level. The periodontist will use a mixture of hand instruments and ultrasonic cleaners to remove the infective bacteria attached to the teeth. The benefits of cleaning are thought to be twofold. Firstly, cleaning reduces the quantity of bacteria surrounding the teeth and, secondly, it changes the type of bacterial population to the less infective and damaging type to the supporting bone. At Boston House we are determined to reduce the discomfort and sensitivity associated with periodontal treatment and where appropriate your clinician will use local anaesthetics. After the completion of the treatment we will help you develop the most appropriate home maintenance care regime. This will include the correct techniques in tooth brushing and interdental cleaning such as flossing and use of TePe brushes, along with setting up the appropriate intervals for cleaning and your reassessment appointments. Controlling periodontitis is a life-long process and should be thought of as an on-going regime. If untreated pockets can become deeper and potentially lead to painful abscesses and to tooth loss. Pocket depth reduction may be recommended when the deeper portions of the pockets may no longer be adequately reached and cleaned by you or your hygienist. Crown lengthening procedures can be appropriate for some individuals who wish to improve the aesthetics of their gum line as well as for patients preparing for certain restorative procedures such as a crown or a bridge. During crown lengthening, excessive bone and gum tissues will be reshaped, exposing more of your natural tooth and evening the gum line. This procedure can be carried out on one or multiple teeth and may be appropriate for patients with a ‘gummy’ smile where the teeth appear short due to their crowns being partly covered by the gum. Correcting the gum line may lead to a more pleasing smile. Soft tissue grafts may be used to develop gum tissues prior to implant placement which have degraded due to past extraction of teeth, cover parts of the exposed root surfaces of teeth which are either unsightly or are sensitive to stimuli such as temperature, touch and foods which are sweet or spicy. Why choose our periodontist at Boston House? We believe a successful outcome is dependent on our diligence. Dr Robert Crawford is our lead periodontist and carries out all aspects of periodontal treatments. Dr Crawford holds a consultant post at the Eastman Dental Hospital and has been involved for many years in the teaching and training the next generation of specialists. Dr Crawford holds additional specialist qualifications in restorative dentistry, prosthodontics and endodontics and is a highly experienced diagnostician. Dr Crawford is supported by a highly caring and experienced team including our two highly trained hygienists and has access to the latest technology and materials to be able to care for you. Should I expect pain or discomfort after treatment? The treated gum tissue may be tender or sensitive to bite and pressure for a few days, as a result of manipulation during treatment and previous condition of your tooth. However in many instances there may be no discomfort post treatment. In cases of surgery a far more detailed advice will be given.